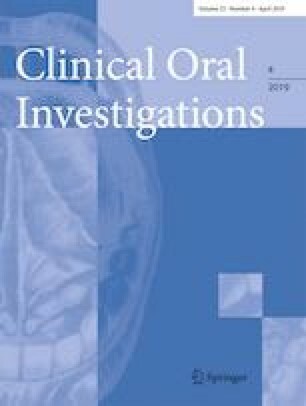 This study aimed to investigate the effect of fracture orientation on the detection accuracy of vertical root fractures (VRFs) in non-endodontically treated teeth using four different cone beam computed tomography (CBCT) units. Thirty eight out of 148 extracted human permanent teeth were chosen randomly, and VRFs were artificially induced to result in 20 mesiodistally and 18 buccolingually oriented root fractures. The fracture width was subsequently measured. All the teeth were scanned with four CBCT units. CBCT images were evaluated independently by two observers. Area under the receiver operating characteristic curve (AUC), sensitivity, and specificity were calculated for each observer and fracture orientation. The AUC between the two fracture orientations was compared using Z test. The mean fracture width was 140 μm (standard deviation 26.8 μm). A statistically significant difference was found between the mesiodistal and buccolingual VRFs for the AUC from the CBCT unit 3D Accuitomo 170 (p = 0.02). There were no statistically significant differences between the mesiodistal and buccolingual VRFs for AUCs from the CBCT units NewTom VGi (p = 0.21), ProMax 3D Mid (p = 0.23), and i-CAT FLX (p = 0.21). Fracture orientations of teeth with VRFs in non-endodontically treated teeth may play a role in the detection accuracy of CBCT images, but this effect seems to be dependent on the CBCT unit used. Although for most of the CBCT units tested, the fracture orientation of VRF in non-endodontically treated teeth seems not to play a role for the diagnosis, clinical data is needed to further assess the impact of different devices on VRF detection. The authors would like to express their sincere thanks to the statistician, Dr. Fang-Chao Liu, for his valuable suggestion on statistical analysis. The study was supported by National Natural Science Foundation of China (Grant No. 81671034). All procedures performed in studies involving human participants were in accordance with the ethical standards of Institutional Review Board of Peking University School and Hospital of Stomatology (PKUSSIRB-201838111) and with the 1964 Helsinki declaration and its later amendments or comparable ethical standards.